Celastrol, a plant triterpene has attracted great interest recently, especially for its potential anti-inflammatory and anti-cancer activities. In the present report, we investigated the effect of celastrol on proliferation of various cancer cell lines. The mechanism, by which this triterpene exerts its apoptotic effects, was also examined in detail. 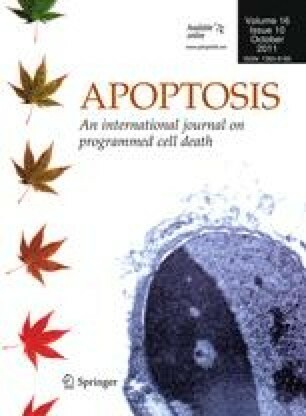 We found that celastrol inhibited the proliferation of wide variety of human tumor cell types including multiple myeloma, hepatocellular carcinoma, gastric cancer, prostate cancer, renal cell carcinoma, head and neck carcinoma, non-small cell lung carcinoma, melanoma, glioma, and breast cancer with concentrations as low as 1 μM. Growth inhibitory effects of celastrol correlated with a decrease in the levels of cyclin D1 and cyclin E, but concomitant increase in the levels of p21 and p27. The apoptosis induced by celastrol was indicated by the activation of caspase-8, bid cleavage, caspase-9 activation, caspase-3 activation, PARP cleavage and through the down regulation of anti-apoptototic proteins. The apoptotic effects of celastrol were preceded by activation of JNK and down-regulation of Akt activation. JNK was needed for celastrol-induced apoptosis, and inhibition of JNK by pharmacological inhibitor abolished the apoptotic effects. Overall, our results indicate that celastrol can inhibit cell proliferation and induce apoptosis through the activation of JNK, suppression of Akt, and down-regulation of anti-apoptotic protein expression. Radhamani Kannaiyan and Kanjoormana Aryan Manu contributed equally to this study. This work was supported by grants from National Medical Research Council of Singapore (Grant R-184-000-201-275), Academic Research Fund (Grant R-184-000-177-112) and National Kidney Foundation (Grant R-184-000-196-592) to GS. APK was supported by grants from the National Medical Research Council of Singapore (Grant R-713-000-124-213) and Cancer Science Institute of Singapore, Experimental Therapeutics I Program (Grant R-713-001-011-271).